All copies of a pamphlet meant to introduce tourists to a beautiful nature trail in the English countryside may soon be destroyed. Angry authorities claim the cover of the pamphlet, "does not represent our youth in the best light." What's the problem? Seems the photographer managed to catch a young girl in the middle of picking her nose. Strangely enough, no one seemed offended by the kid in the bizarre lamb hat. More here. Interesting. I haven't been posting for a while because our computer was at the mac store being fixed. *cracks up* Actually the sheep is kinda cute, just not for a hat! And the legs hanging down are HILARIOUS!! How must SHE feel? Oh well. That's gonna be a keepsake for the parents! wow, lol. poor kid. she's gonna regret this so bad in ten years! What's wrong with the hat? I LOVE THE HAT!!!!! I WANT ONE!!!!! I feel sorry for that little 'digger'. I agree with Maddi. WOW, I wouldn't like to be caught doing that. Okay, now THAT is HILARIOUS! Geez, i haven't laughed that hard in ages! lol. Ananka, i love you so much, you just always brighten up my day! ps- what does collapse comments mean? Dare I touch it? LOL!! That little girl is gonna get famous! *falls into spasms of hysterical laughter* that poor little girl!! she's gonna be teased about that for so long! THAT'S a lamb!? oh, i thought it was an alien device used to control her thoughts "i..must..destroy..nose-picking..human!" 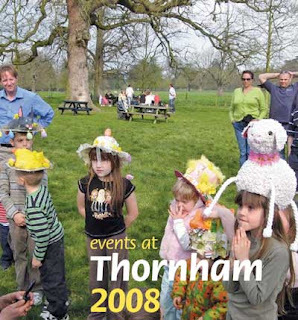 hehe, that kid with the yellow hat next to that kid with the sheep hat is picking his nose. heheheHAHAAHAH!!! *sigh*, funny.